This entry was posted in Tech Talk by Jens-Ingo Brodesser. Bookmark the permalink. 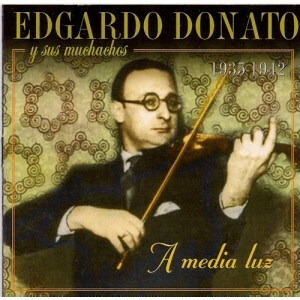 I have a Donato_Horacio Lagos 1938 – 2:17 version but with a surprise, it is not a tango but a vals at a good tempo… in my opinion. Jens, a lot of El Bandoneón’s output is LP transfers. Is it possible do you think that the LP (from the 1960s or 1970s) was mastered at the wrong speed? i also recognised that El Bandoneón has used extensively LPs transfers for their CD editions. If you look at the “El Rey Del Compás EBCD43” and listen to the track “El cencerro” as an example, they used definitively a LP because it’s a strongly echoed version. The reverb filter has been used on certain RCA Víctor LP collections, like some tracks on the 10 LP Set “Serie Tango De Ayer” from 1980 which has been cut by different subcontractors like by Sonolux in Columbia on quite cheap and light vinyl (180 gramms max. ), especially on LP n#3 “Juan D’Arienzo con Rudolfo Biagi al piano 1936-1938 Vol. 3”. I guess it must have been a kind of bestseller edition when serveral subcontractors had to fabric it. The original 78 RPM record from 1937 has no reverb filter, they were not invented yet! There were nearly no secondary labels issuing d’Arienzo at that time because of high production costs and tighter licence policies. El Bandoneón might have used this RCA series or a simular, or at least another CD edition which used the RCA Víctor reverb version of “El cencerro”. RCA Víctor also issued top of the top transfers with their CAMDEN series on plain heavy vinyl. It has been presented as an audiophile edition recut from their masters. There is still a possibility that the speed issues could be from tape machines which were used to copy the LPs. I have recognised for example a lot of too fast recordings on the Oscar Himschoot CdT CDs, most of the late D’Arienzo are too fast and missing dynamics. The original LPs from RCA Víctor are perfect though. So I guess there must have been something intermediate between these two medias. The famous reverberation effect comes defintively from LP editions. I haven’t had time to check the timings but from my listening memory i can’t recall anything obvious from the RCA CAMDEN transfers, the Odeón LPs are also all close to perfect. I remember though some possible timing issues on this above metioned 10 LP Set, also very poor recording quality on its Donato (Vol.6). I will try to make a more in depth analysis of the problem in the next future. This article is now nearly 2 years old and I think today too that it is most likely that the El Bandoneón timing issues are from LPs or Tapes which introduced the errors. Thank you very much for this important input and I keep you posted once I have checked this more in depth. 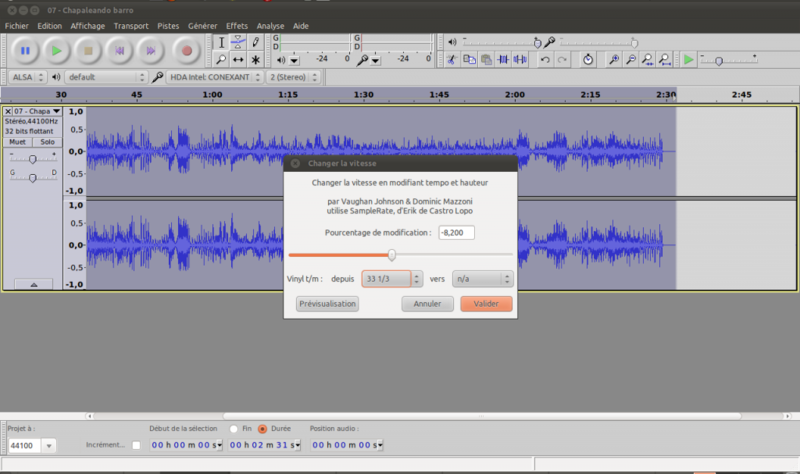 Why do you conclude that it is the recordings of Himschoot that are incorrect, and those of RCA are correct – rather than the other way around? this conclusion is based on an analysis of the tonal keys and the sound quality of both material. Most of the CdT CDs are off tune and the sound quality is quite poor which means that in terms of copy generations these transfers seem to be copies of transfers and not remasterings of 78 rpm records or masters. This is also true for El Bandoneón CDs. With most El Bandoneón material one can also observe that they copied forth a lot of artefacts which have been introduced on LP reeditions and which do not exist on the 78 rpms, like strong reverberation effects or the before mentioned pitch issues. Listen to their version of “El cencerro” by D’Arienzo on EBCD43 “El Rey Del Compás”. Eine weitere CD, wo die Musik in höherer Geschwindigkeit transferiert wurde, ist die Carlos di Sarli “Primeras Grabaciones 1928-31 (BMT 020). Gut zu hören bei dem Stück Cicatrices. Als Vergleich das gleich Stück auf der CD “Col. 78 rpm -Carlos di Sarli 1928-31”. Another CD where the music has been transferred with higher speed is to find on Carlos di Sarli “Primeras Grabaciones 1928-31 (BMT 020). Easy to hear e.g. on Cicatrices.